There is nothing more annoying than spending hours of your spare time earning ”points” to then realise that all those clicks and sign ups have only earned you 50p once converted. 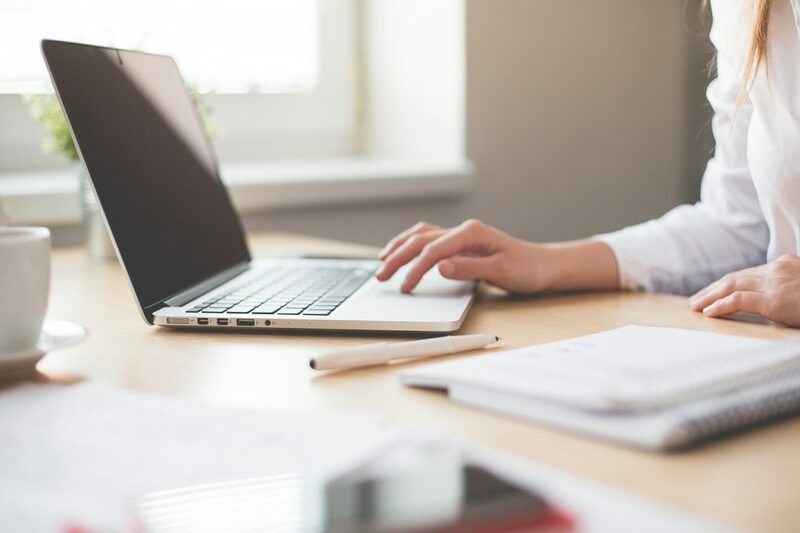 Finding a site that offers you cold hard cash can be like finding a needle haystack so luckily for you I’ve done all the legwork for you, here is OhMyDosh! OhMyDosh! Rewards its users for completing offers, doing surveys, entering competitions, participating in free or discounted trials and switching service providers. Unlike many similar sites, you can see how much these activities will reward you in CASH! Signing up is quick and simple. Fill out your name, email and a password then you’re all set. You get a quick tutorial once you’re in which guides you through the site but if you have any questions you can pop over to the helpdesk. Don’t forget to verify your email for that extra 50p. It’s so simple to earn real money with this website and you are even rewarded with £1 just for signing up and confirming your email. Then you move on to the offers. Some may require purchases but many don’t and it’s very easy to money without purchasing a single thing – they even have a “no spend” category too. You can also earn by entering competitions. There are a variety of offers, all from well-known household names such as Which? and Amazon Prime. 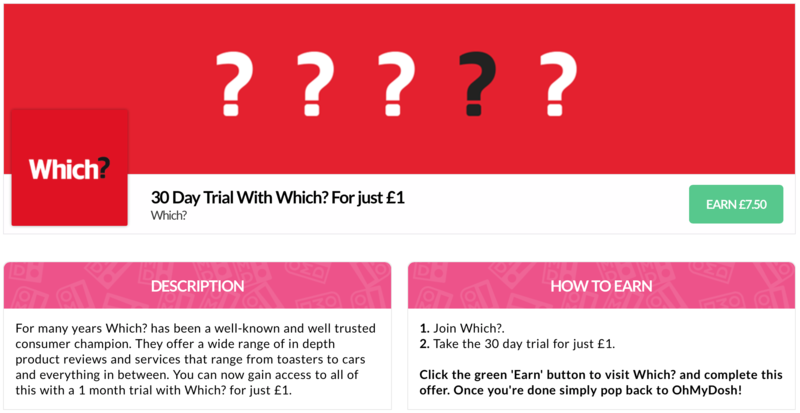 OhMyDosh have got an amazing offer for signing up to a £1 trial with Which? Magazine! Offers such as join Tastecard for a three-month trial, costing you £1, will earn you £2 making that offer not only free but it also puts you in credit. 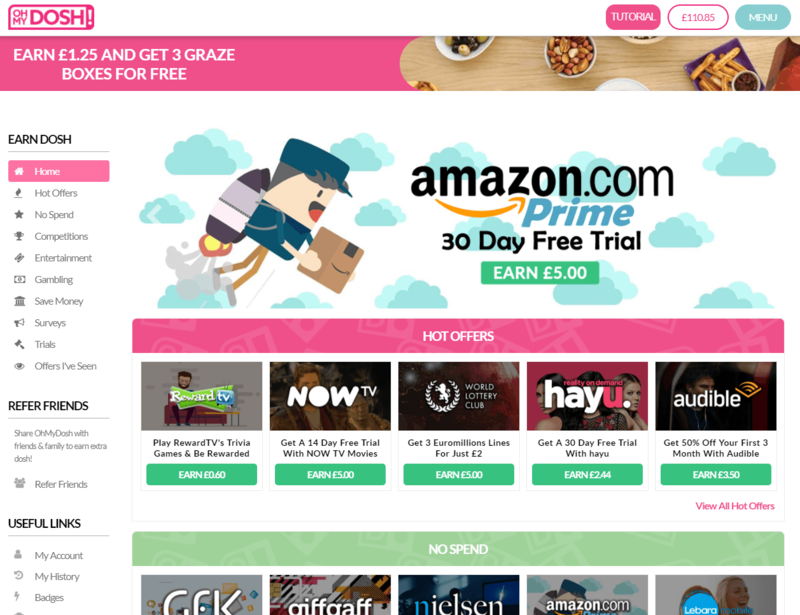 Or, you can grab a 14 day free trial of NOWTV and earn yourself £5.00 – if you like what the service offers, great. If not, be sure to keep a note of any subscriptions you sign up to so you’re not billed at the end of the trial. The big earners are offers such as this one from Coral, where you deposit £10 and get not only a bonus on their website (£50 to play) but also £25 for completing the offer. That’s £15 profit before any potential winnings. 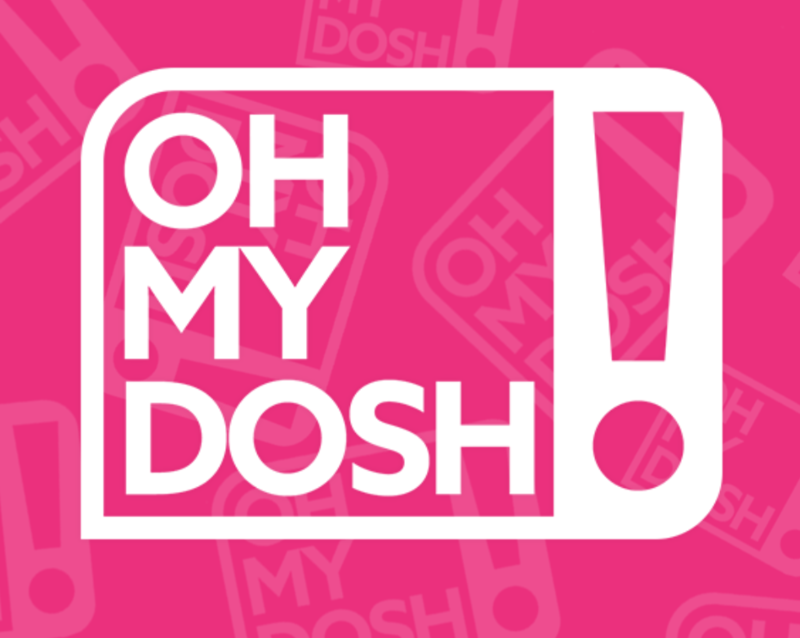 Another thing to note is that you will get regular emails throughout the week from OhMyDosh with new offers as they come online to make sure to keep an eye on your Inbox! 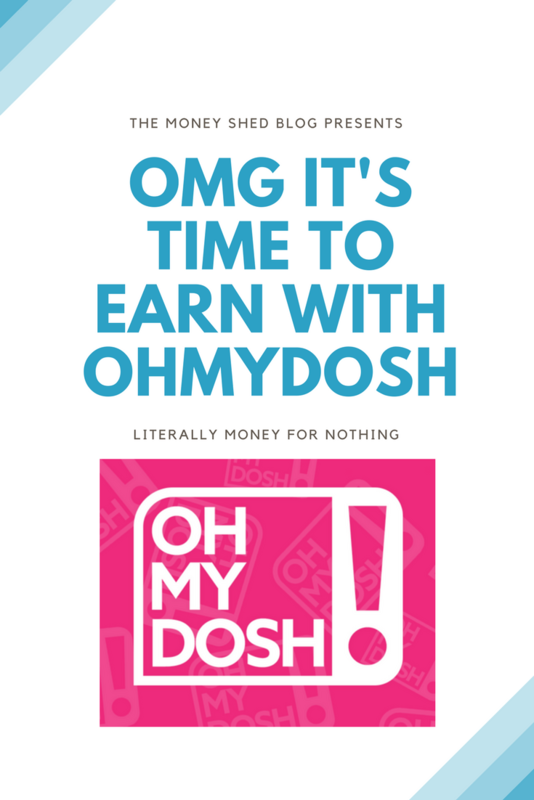 Look how much you can earn from OhMyDosh! That very much depends on which offers you complete. The higher earners tend to come from casino and betting offers so if you’re happy to jump on them then you’re into the big money. Once your balance is over £10 you can cash out or “dosh out” as they refer to it as. Your balance is paid into your bank account within 5 days or you can choose PayPal for it to be paid out sooner. You can also bag yourself an extra bonus by referring your friends to OhMyDosh! You get £5 for each friend you refer who reaches their own £10 earnings. To make it even easier, your friends will also receive a bonus £1 because you referred them. The OhMyDosh! website is modern looking, fast and reactive; both on desktop and mobile. 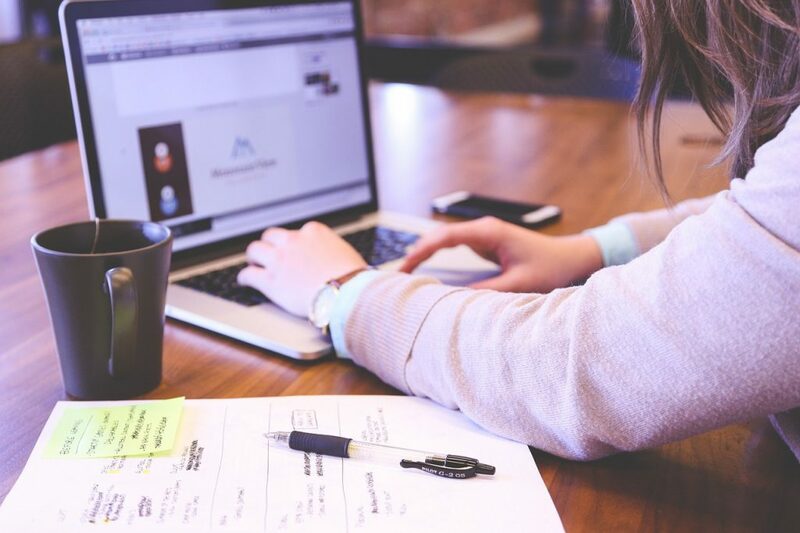 Easy to navigate with all the information you need for using the website; including links to their social media channels. It makes earning money with them simple, quick and enjoyable. 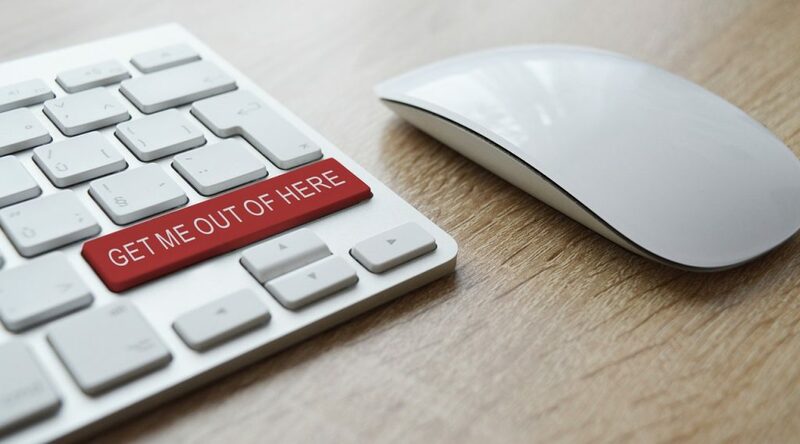 If you have any problems then you can either submit a ticket via their helpdesk or chat to someone via live chat, as long as there is someone available. There is a separate section should you be missing a transaction. As well as the leaderboard, you have the chance to earn badges by completing achievements such as returning the site on consecutive days. Some badges even come with bonus payments like the badge for verifying your email. Is OhMyDosh! Worth My Time? Simple answer, yes. As I’ve mentioned, earning with them is quick and easy with a variety of offers ranging from 50p to £25 per offer. It takes no time to register. Choosing the PayPal payout offer means that getting your dosh is a breeze and with the chance to earn £5 per friend signup there is no reason not to join. Let me know in the comments what your best offer has been so far and get started with OhMyDosh! today!